Mission statement: "Lambda Legal is a national organization committed to achieving full recognition of the civil rights of lesbians, gay men, bisexuals, transgender people and those with HIV through impact litigation, education and public policy work." 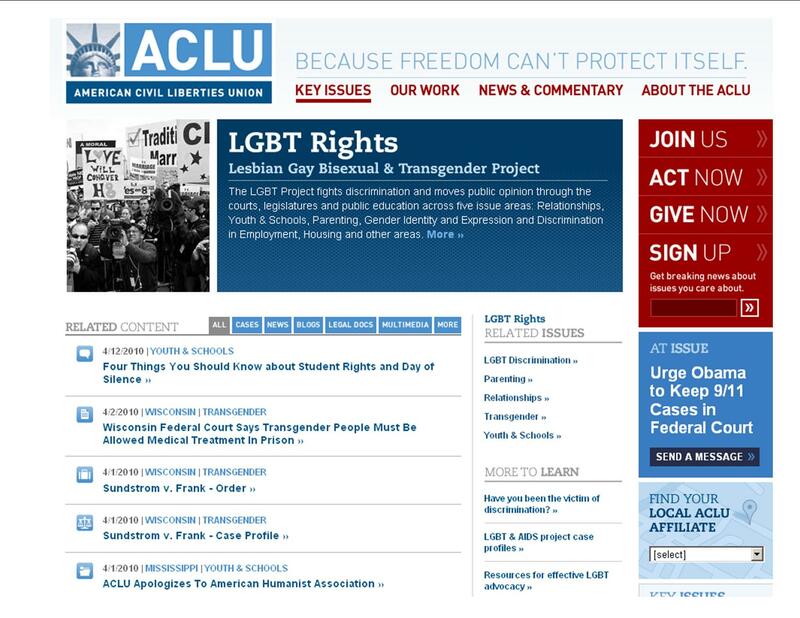 A project from the ACLU concerned with fighting discrimination, lobbying Congress, and supporting grassroots advocacy at all levels. The site includes information on current cases, news items, and has podcasts, videos, and other materials available for download. sexual orientation, HIV status and gender identity and expression."